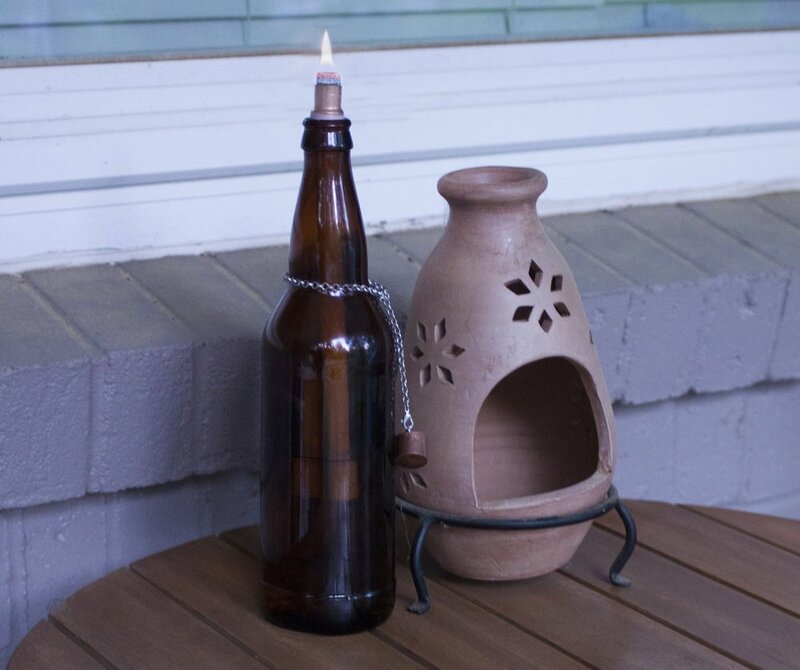 Upcycle leftover glass bottles and light up your outdoor space! How to:First, make sure your bottle is clean and dry. Wrap the coupling in teflon tape (so it fits snugly in the bottle opening) and thread the wick through. Drill a small hole in the side of the copper cap. Connect the clasp to the cap through the hole. Thread the end of the necklace hoop through a link about three inches down and pinch the ends together. Fill the bottle with fuel, and light!